Hi dearies! It's holiday today, I'm sure some of you are still sleeping. I hope you don't mind if I'll share another photo of me with my son. This time I'm already facing the camera. Kenzo got a new bag but it's too big for him to carry on his shoulders. The hubby was teasing him that he's a school boy that's why he's eager enough to carry the bag while posing. 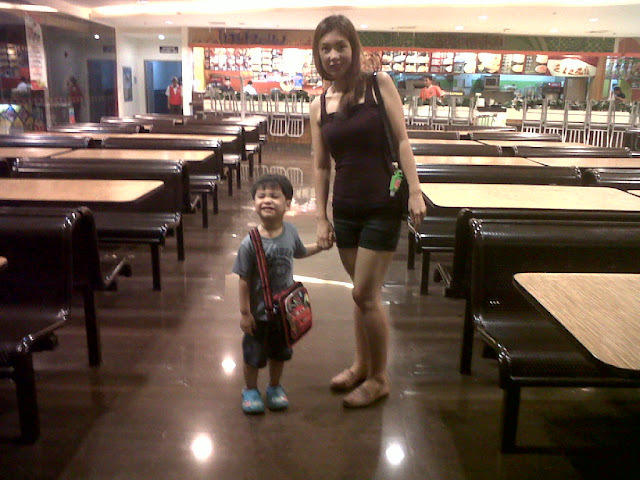 This photo was taken after eating dinner at SM Fairview. The hubby took this photo using his cell phone camera.